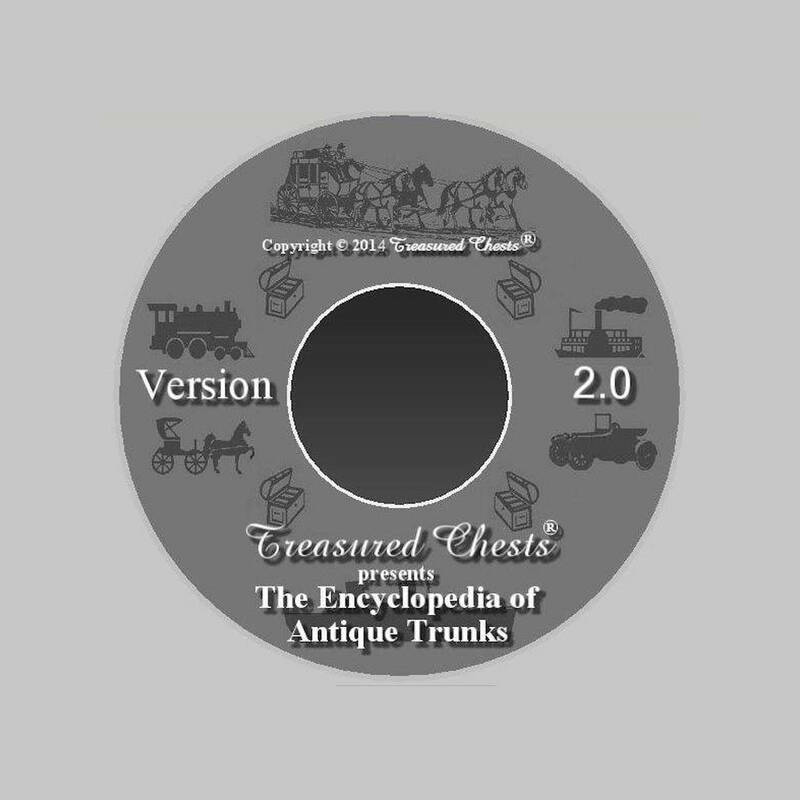 Encyclopedia of Antique Trunks, Version 2.0! Nearly 45 years of research, thousands of photos, diagrams, trunk makers’ labels, lithographs, facts, addresses, dates, patents all on CD so it’s affordable AND portable! NOTE: THE CONTENTS OF THE CD ARE AVAILABLE AS A TWO-VOLUME KINDLE eBOOK, ASIN: B06WD5YLWG and ASIN: B06WD5VFVW ON AMAZON.COM. The book is very easy to use, you just insert it into the CD/DVD drive of your Windows® computer*. Nothing is loaded onto your computer; the program runs completely from the disc so there are no security worries. The program has its own browser and operates much as regular Web browsers most of us are used to. There are back and forward controls, a powerful search facility, printing capabilities and much more. FREE SHIPPING ANYWHERE IN US; $14 WORLDWIDE.